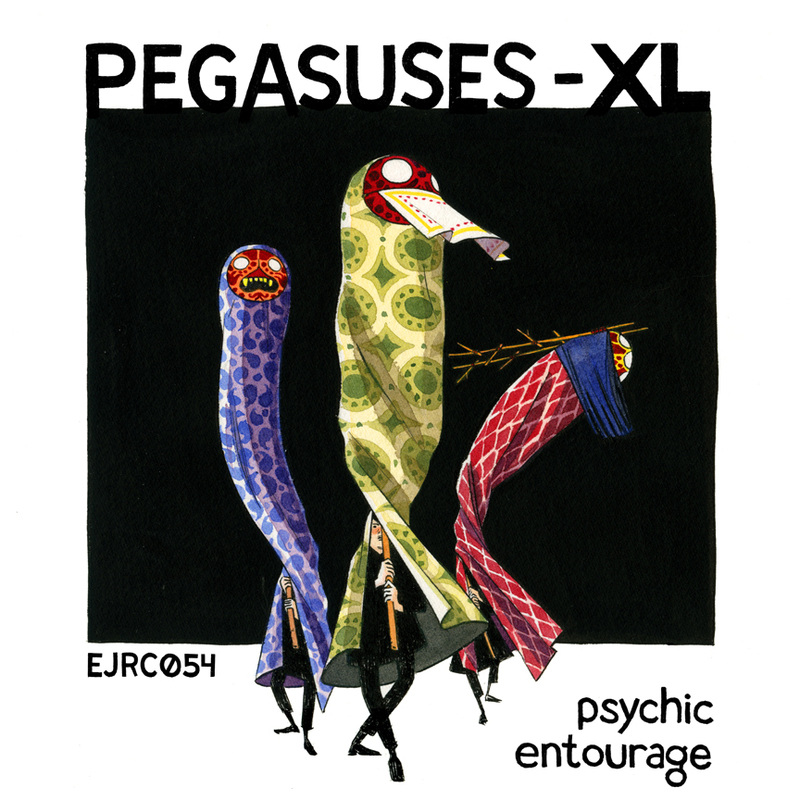 My friend Jeff Tobias is part of a band called Pegasuses-XL, and their latest album Psychic Entourage is out today and available on iTunes. You may recognize the album art - it's an image of mine. The thing is about this album: it is extremely good. I love it and have listened to it a hundred times and feel a pang that my art doesn't do it justice. It's big, and hard, and sad, and thrilling, and excellent. Plus it rocks out. Check it. Well, somebody's got to say it: this post is awesome -- it reminds me of your halloween costumes, which are epic. I just moved, just got my library card for the tiny local library and one of the first books I ran into there was Lynda B's edition of the best American Comics -- with your cover: it was so like stumbling upon a treasure! Hee hee! Thanks, I'm tickled your library has BAC08! Your work is fantastic . Thanks Gilles! I do love Miyazaki, although I wasn't thinking of him for this pic.... I'm glad you like it! wow that fabric is so well painted.